What is your most rewarding experience while guiding? The most rewarding experiences are during instruction when I see a student motivated and excited about discovering kayaking. It’s rewarding to give them the ability to not only chase, but also excel at a new passion. Your most epic day? So far, I would have to say kayaking Angel Falls on the North Fork of the South Arkansas was my most epic day. We had a large crew of friends and several RMOC paddlers that shared this experience. Although very short in length, this run packs in A LOT of excitement. A steep and narrow gorge funneling out into a stunning 18’ waterfall. Education/Background: I have a Bachelor’s Degree in Outdoor Education and Recreation Studies from Ohio University. Upon completion of my college program, I took a six month internship with RMOC to gain valuable knowledge and experience. I began boating privately in high school on many of the eastern rivers and streams. This degree enabled me to discover exciting career opportunities that allow me to enjoy my passion for outdoor activities. What do you do in the off season? During the shoulder season (fall and spring) I try to take a fun trip boating, biking, and climbing. Also I generally travel home to see the family and friends. When the snow is falling I work at our local ski area, Monarch Mountain, building terrain parks. Shredding up in the mountains is a great way to enjoy the cold months. Favorite beer: A cold one! Favorite day off activity: My ideal favorite day off consists of paddling a new run and getting stoked with my friends. I also enjoy mountain biking the best local trails. 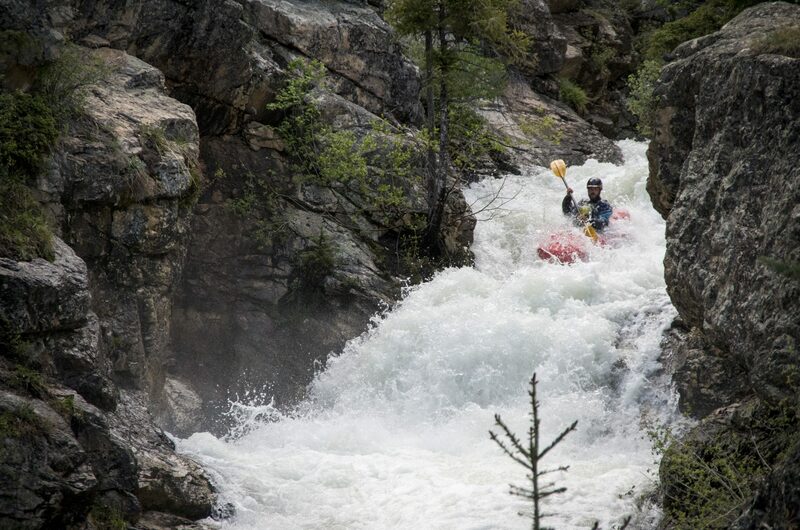 Favorite whitewater run: It’s hard to pick one! Gore Canyon for its amazing scenery and powerful rapids. However, I love taking fun laps on the local Pine Creek/ Numbers section. Favorite thing after the river: Sitting down for some food and sharing stories about the trip.